Create a mobile-friendly podcasting and audio website to showcase your podcasts, music, videos, content and more. 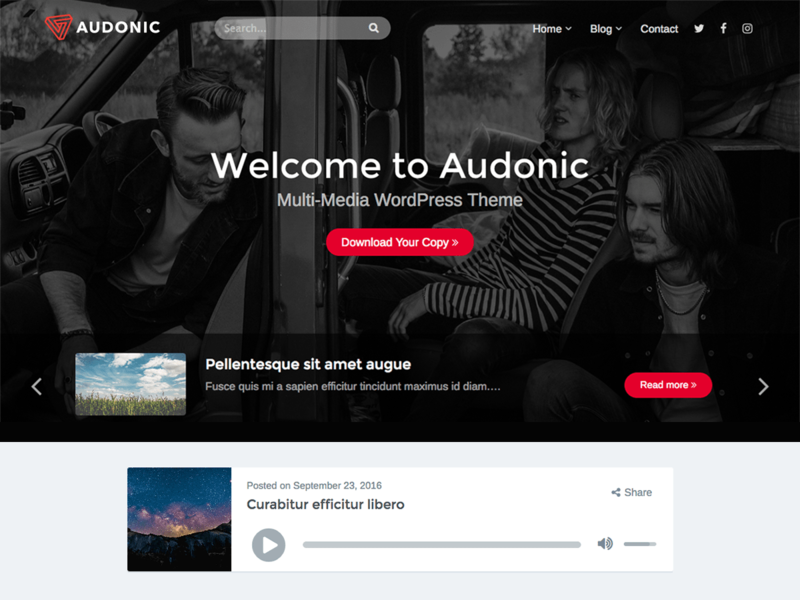 Audonic is a clean, flexible and responsive WordPress Theme. It supports native audio and video players as well as oEmbed. Manage your music, podcasts or videos with Audonic. Choose between dark and light themes, dark and light audio players, custom headers on the front page, blog page, category pages, and other custom page templates. Audonic makes it super simple to create your own homepage by letting you choose which content to feature and providing smart desktop and mobile styles to highlight your audio content. Using Audonic’s Customizer settings, you can launch a new podcast and showcase your latest content with ease. Audonic includes settings to quickly customize your site’s header to include a header image (or slider with multiple images), introductory header text, and unique styles and colors. Using these settings, you can create a branded website that matches your own style perfectly. All of these settings can be changed in real-time, so you can design your own homepage. Audonic is perfect for podcasters, musicians, DJs, bands, and Music studios. Using a mix of images, audio and video, you can easily create an impressive website showcasing your latest and greatest content. We’ve provided support for all media types so that you can create a website layout that highlights your own custom style. Audonic features a flexible, responsive design, meaning your site will scale to fit any screen size, from desktops down to mobile phones. All pages and features have been optimized to work on every device. Fonts, images, navigations and page styles have been designed to give your users a comfortable browsing experience. 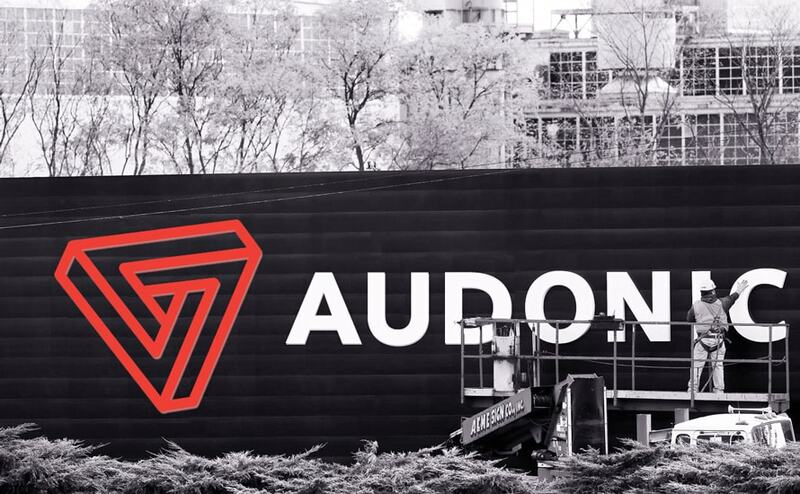 Launch your website in minutes with a quick install of our Audonic WordPress theme. No coding required, no headaches, just a really good theme that comes packed with full documentation, and friendly support when you need it.